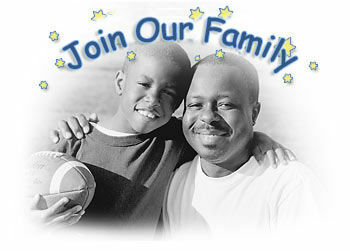 Become a member of the SOS staff and help us improve the lives of foster children. SOS Children's Villages - Florida provides a home, family and support services to abused, abandoned or severely neglected foster children who have no imminent plan for adoption or reunification with their birth families. Many have never before experienced a stable family life, the opportunity to put down roots, or a place that they can call home. SOS is located on an eight acre cul-de-sac in Coconut Creek and borders Broward and Palm Beach counties. Our Village features 12 single-family homes, a community center, social services building and an administration building. Help for the children is always right next door or right down the street. Our children attend local schools together. After school, they take care of household chores, play outdoors with their friends, tend to their studies and homework, and work at after school jobs. They also participate in a variety of activities like scouting, gymnastics, karate, football and band. Our youth 13 and older attend on-site independent living skills classes where they learn about career and educational choices, job application and interviewing, household management and other life skills. At the same time, many of our children receive on-site mental health therapy to help resolve issues related to their traumatic pasts. The SOS Parents who lives with the children in the home, provides caring guidance and support as they heal and grow. The SOS Brothers and Sisters; biological and “new” brothers and sisters grow up together in our village. The SOS Home is where every child is assured a stable place to grow up. The SOS Village provides neighbors, friends and a full spectrum of support services for the children's special needs.